Carrie Frances Fisher (21 October 1956 - 27 December 2016) was an American actress, novelist, screenwriter, and lecturer. 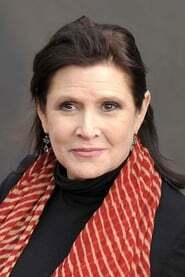 She is most famous for her portrayal of Princess Leia Organa in the original Star Wars trilogy, her bestselling novel Postcards from the Edge, for which she wrote the screenplay to the film of the same name, and her autobiography Wishful Drinking. The database contains 841 images with Carrie Fisher, divided over 33 titles.